the accompanying performance programme reflects the thematic key aspects of the project. 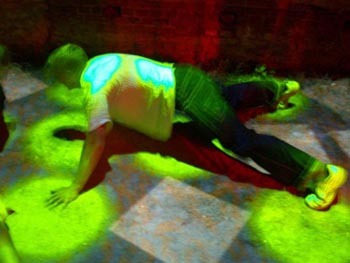 the formats and programmes refer to the working process of time's up and their guests. 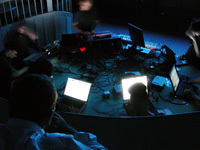 in line with to the open workspace the single slots are also an invitation and offer the opportunity to respond to the current state of the open lab situation. in his p.a. dual-project, remco packbiers uses 4 to 8 mono record players. his aim is to find the perfect musical fragment at the right time in the right musical environment. 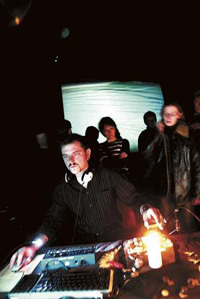 for this he uses exclusively analogue mixing techniques without dj mixer and crossfader and trusts absolutely the characteristical sound of old directly micophoned dual turntables. parallel to the first phase of the time's up project, to the presentation of their working methods and the initialisation of the installations and interfaces, this programme deals with strongly conceptually working positions. nicholas bussmann began as a cello player. as many others he put his instrument aside and went for the new possibilities the computer and electronic devices offered. these days he is very much focusing on performing music rather then recording and is working on conceptional compositions and game structures. balancing acts and the play with listener expectation characterize his work. part two focuses on the discussion of the object, tool and interface and presents performance concepts that have been developed from a concrete instrument-idea. 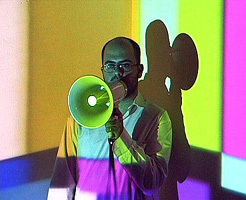 in his strongly space related installation work derek holzer deals with the conservation and transmission of sound. he is fascinated by the possibility to be able to store sound particles, concentrated in one object, for the next 100 years and to spread them undercover of legal borders via airwaves to every spot in the space. 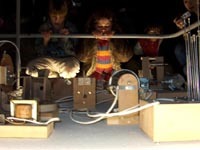 sound by sculpture is an installation instrument that takes the audience on a trip through a world of mechanics. all sounds are generated by small machines, these samples are then played live with switchboard and audiomixer. for this performance wessel westeveld cooperates with the finn viljam nybacka and his prepared bass. the last week deals with ideas and positions of presentation and mediation, established modes of reception versus performative experiments are discussed. 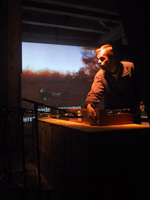 marek brandt introduces his performance and research series music for animals. this series is part of his extensive field studies that deal with established performance practice and concert situations as well as conceptually with a totally different audience - animals. what kind of music do cats like, how can you play for an elephant, how patient are spanish bulls, or what can a concert for fish look like? 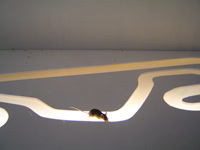 the project discusses zoological questions and phenomena of perception. 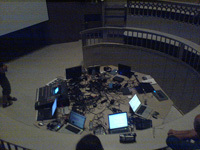 the laptoporchester berlin is an executing laptop ensemble that performs live commissioned compositions of different genres. for this project they are invited to dock their orchestra on the adventurous playground and to experiment with multi channel sound distribution, the possibilities of direct positioning of sound and performer, and audience interaction with control parameters. with a background in mathematics and classical guitar the ukrainian dmytro fedorenko develops with custom-made instruments sound worlds between micro tonality and noise that test the borders of audibility. 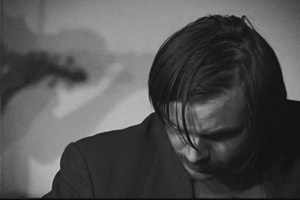 mattin, basque artist living in london and berlin, works between noise and improvisation. the only thing that is 100 percent predictable about his performances is that definitely nothing is predictable. hassan khan belongs to the young multitalents of kairo. in his video, music and text works he deals mainly with the politics of every day life and with this deliberately sidesteps the borderline between pop culture and tradition. 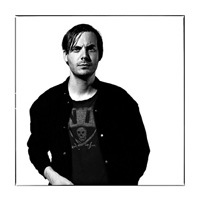 for this evening he teams up with staalplaat soundsystem's geertj-jan hobijn.